Pandanus, Pandan or Screwpine leaves are originated from Southeast Asia. They are widely used in Thailand, Indonesia, Malaysia and Singapore. These leaves have a nice scent and often used in both savory and sweet dishes. The leaves can be pounded for their juices and is used in many sweet dishes. Guess I will be making something sweet with the pandan leaves very soon. So, watch out for it! Combine all the ingredients and marinate for at least 3 hours or overnight. 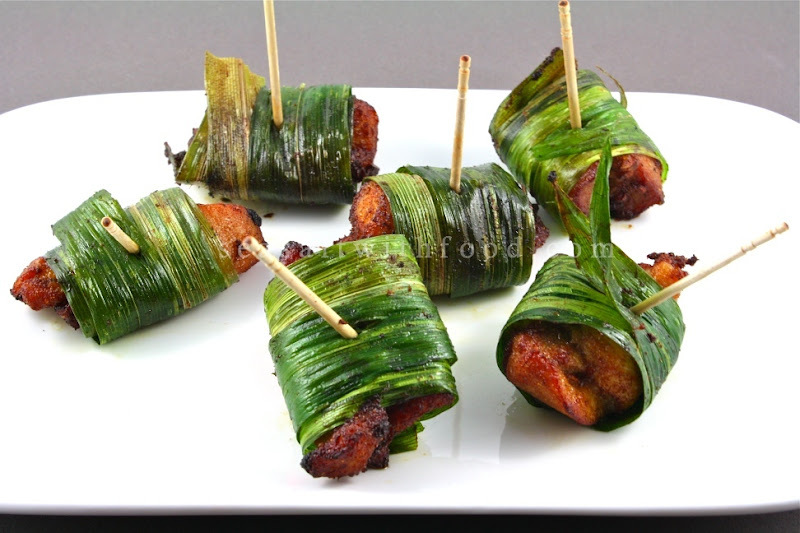 When ready to cook, wrap the chicken with pandan leaves and secure with toothpicks. Heat the oil and deep fry the chicken for about 6 to 8 minutes or until the chicken is well cooked. You can also bake the pandan chicken by heating up the oven to 200 degrees C and bake the chicken for about 25 minutes. Serve the chicken with sweet chili sauce. May I ask where you get pandan leaves? @eatingclub: I get my Pandan leaves from my backyard.. Haha, just kidding. I get mine from Chinatown in this little place called Wong Xin Market. Address: 747 Gore Avenue, Vancouver BC. and Thank you so much for commenting/enjoying on my blog! Wa, as I was reading this and drooling over those moist juicy pandan chicken pixs, my mind was made up " make it this weekend "
This is my Dad's favourite dish - thanks for sharing it He will be happy when I attempt to make it - the first picture looks spectacular. I just want a big bowl of rice to eat this with now! Hi! I couldn't help but notice that we both submitted pandan recipes on FG and TS :) I guess pandan fans can have your chicken for dinner and my cake for dessert? Great pics, great blog!! we always use pandan as a flavoring and coloring agent and threw them out...how do they taste? My mouth is watering. Looks delicious. I rarely use pandan leaves for savory dishes, only for steaming jasmine rice. Gotta try this one! 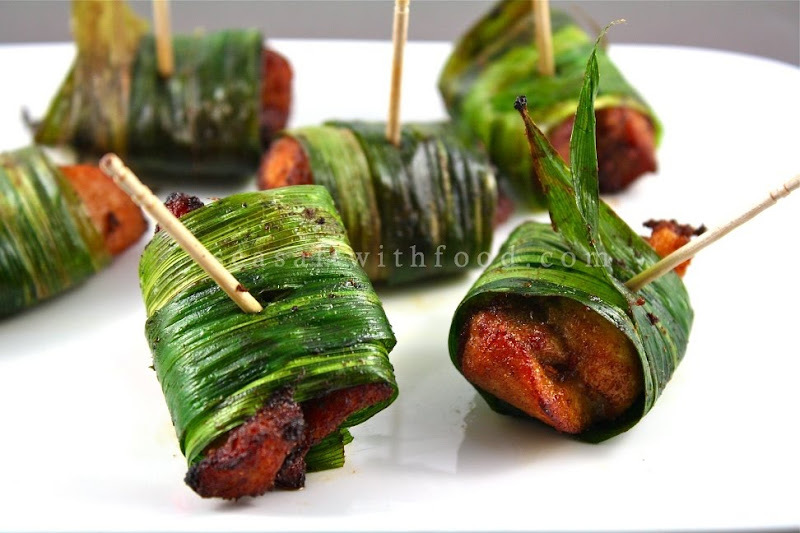 Dear Seasaltwithfood, these chicken wrapped pandan leaves look awesome! I did not know what pandan leaves were and am curious to try them for their sweetness. I felt like I had stepped into Gourmet Magazine. It was so well presented, clean, photos clear and professionally positioned. Excellent copy. I shall return for another bite of this wonderful blog. Thank you for sharing. 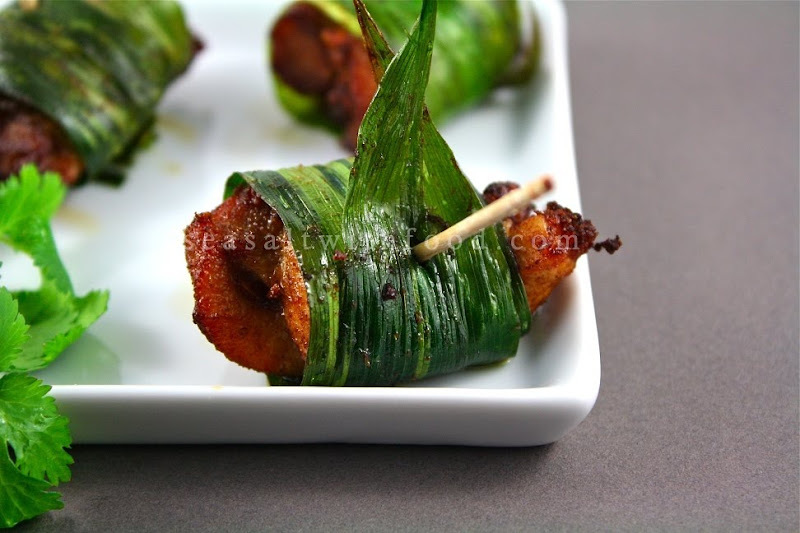 my husband is inspired to make this as he was searching for a dish to make for a potluck... we didn't know where to get pandan leaves until we read the comments and realized that you are a fellow vancouverite! great cooking blog!